Today, lenders require nothing short of pristine credit to obtain a mortgage. 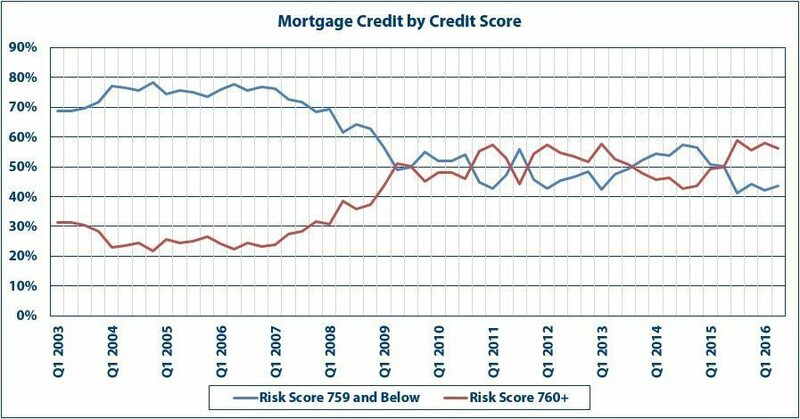 Surveys say credit is loosening for some types of loans, but standards are still far tighter than necessary. Today lenders require nothing short of pristine credit to obtain a #mortgage. I took a look at data produced by the Federal Reserve and was shocked by what I saw. Of the $426.6 billion in mortgage originations during the second quarter of this year, almost 62 percent went to households with a credit rating of 760 or higher.